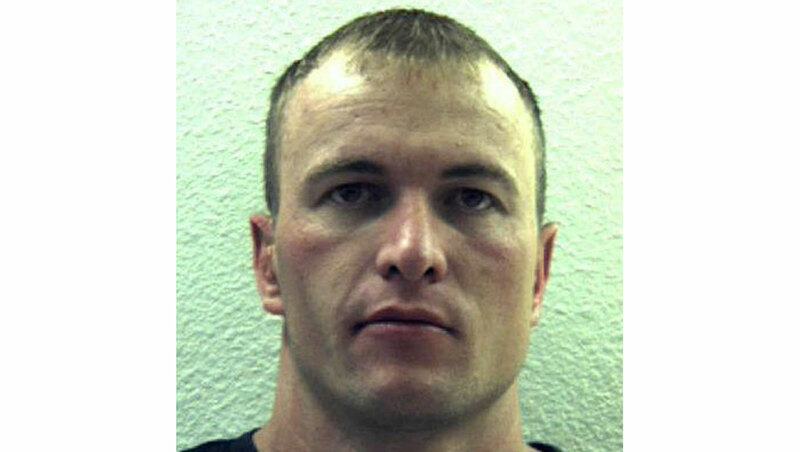 CAMP VERDE, Ariz. - Police in Arizona are searching for a fugitive they say scaled a fence Saturday to escape from the Camp Verde jail in Camp Verde, about 90 miles north of Phoenix. Wade Cole Dickinson, 28, scaled a wall in the jail's recreation yard around 2:30 p.m. Saturday, separated overhead security fencing to access the roof, and climbed down to the ground, according to a Yavapai County Sheriff's Office news release. Police said he then ran across the parking area and attempted to steal a small pickup truck from a business near the jail. The business owners came outside, and last saw him near Highway 260 and Old Highway 279 in Camp Verde, wearing an orange jumpsuit and running east. The business owners called authorities to report the escape, and Dickinson was confirmed missing after a headcount, according to the release. Yavapai Silent Witness is now offering a $5,000 reward for information that leads to an arrest in the case, according to police. Police reported late Saturday night that they had received a "reliable report" that Dickinson was spotted in the area of Middle Verde Road and I-17, several miles from the jail, wearing a white button up shirt, khaki pants and dirty dark socks. He had cuts on his legs, likely from scaling a barbed wire fence during his escape. An extensive multi-agency search with the assistance of tracking dogs wasn't successful, according to the release. Dickinson has a martial arts background and is an avid outdoorsman, according to the release. Prior to his escape, Dickinson was concluding several criminal cases involving fraud schemes, false reporting of a stolen vehicle, theft, prohibited possession of a firearm, weapons misconduct, and possession of dangerous drugs -- all offenses occurring while he was on probation, according to the release. His alleged victims included business associates, friends and an insurance company, police said. He was facing a 24-year prison term. Police reported Sunday evening that Dickinson still hadn't been located. They reported the search was being scaled back, though they urged residents to continue to use caution. Residents were being advised not to pick up hitchhikers, to be extra alert of suspicious persons and to use caution when entering a vehicle. Dickinson is believed to have family in Camp Verde and the Prescott Valley communities. He's described as a white male with brown hair and brown eyes, six feet, one inch tall and 190 pounds. Anyone who sees Dickinson or has any information on his whereabouts is urged to call the Yavapai County Sheriff's Office at 928.771.3260. Tipsters can also call Yavapai Silent Witness, which is offering a $5,000 reward for information that leads to Dickinson's arrest, at 1-800-932-3232.